Dan Brenner, Superintendent of Schools, earned $269,496 for Fiscal Year 2018. 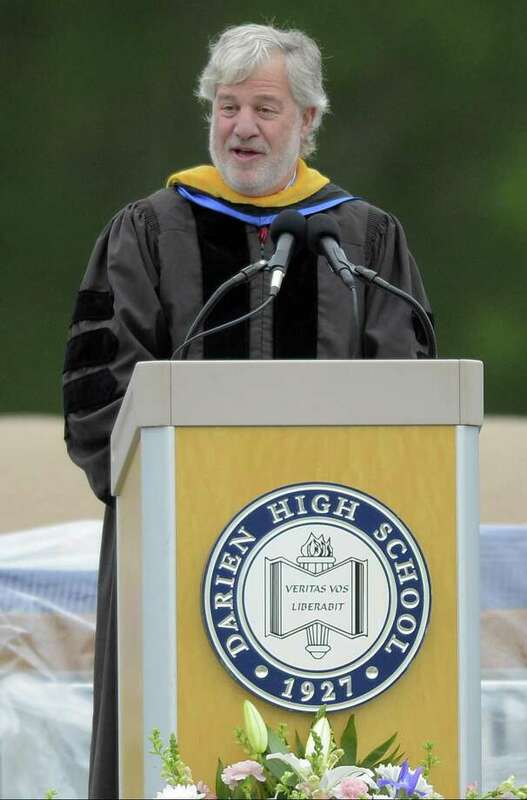 DARIEN — A mix of educators and police officers rank as the top 10 highest-earning employees in town. For a second consecutive year, Superintendent of Schools Daniel Brenner took the top spot. His salary of $269,496 for 2017outstripped second place by almost $50,000. Another five school employees also made the list. Assistant Superintendent for Special Education and Student Services Shirley Klein and Assistant Superintendent of Curriculum and Instruction Susie Da Silva each earn $196,597 and tied for fourth on the overall list. Director of Finance and Operations Michael Feeney and Director of Human Resources Marjorie Cion made $182,673 and $179,214, respectively, ranking in at seventh and tenth. Middlesex Middle School Principal Shelley Somers, the sole principal on the list, earned $180,673 and claimed the ninth spot on the list. The other four employees on the list are members of the Darien Police Department, which last year had two officers in the top 10. Sgt. Mark Cirillo was the highest-earning member of the police for the current fiscal year with a gross salary of $222,494. Police Officer James Martin came close with $216,840 followed by Capt. Donald Anderson, who earned $189,007. Officer Michael Cummings was the fourth highest-earning member of the department and eighth overall with $182,284. “Officers shown on this list are effectively, and often, working a ‘second job’ in order to reach this level of remuneration,” Anderson said. Members of the police department can work overtime and extra duty hours to add to their base salaries. For example, the base salary for Cirillo amounted to $107,158, but additional work hours — $64,729 from extra duty and $36,662 from overtime — brought his total to $222,494 for the current fiscal year. Overtime hours are footed by taxpayers while extra duty hours are paid by the private contractors who require police services, such as crews doing utility repairs. “Extra duty assignments, typically road construction traffic details or other security details are performed by the officers on their off-duty hours and the cost is borne fully by the contractor,” Anderson said. Anderson, a member of the force since 1983 and a salaried employee, does not receive overtime pay, but can earn additional cash through extra duty work, bringing in $39,005 for the current fiscal year. Martin accrued $61,425 from extra duty and $44,713 from overtime hours, while Cummings made $41,447 from extra duty and $42,015 from overtime.